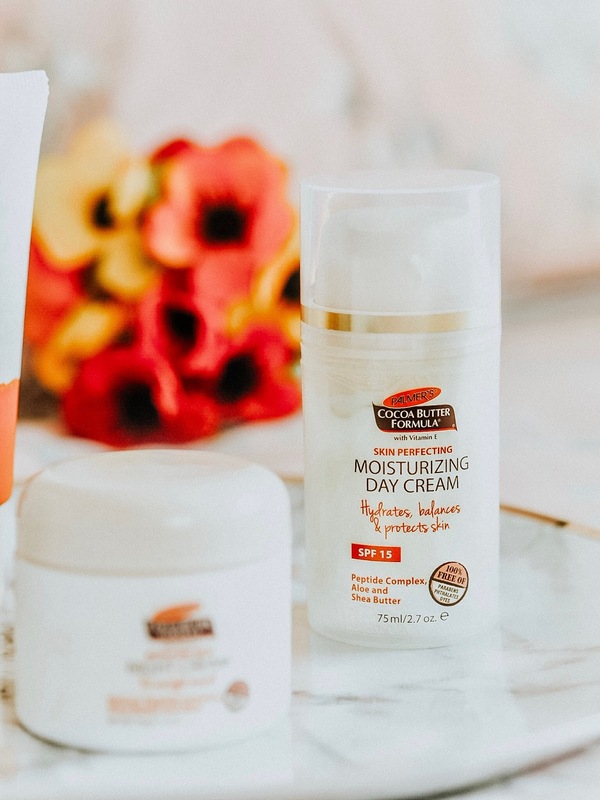 In the summer months I like to reevaluate my skin care regime and switch out a few products. I find when the weather is hotter my skin beings to lean more towards the oily side of the spectrum, meaning I'm more prone to breakouts. For these few months I find I really need to strip back my skincare and use the essentials only, nothing over complicated, just the bare minimum. It's particularly important to look after your skin even more so in the summer as your skin is at more risk of becoming damaged due to the likes of sunburn etc. 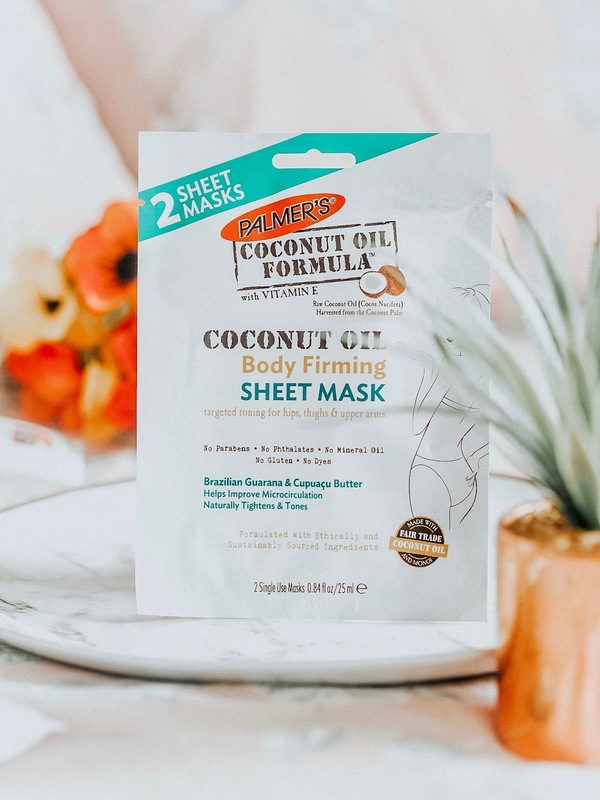 One brand that I've always turned to when my skin needs that good TLC is Palmer's. 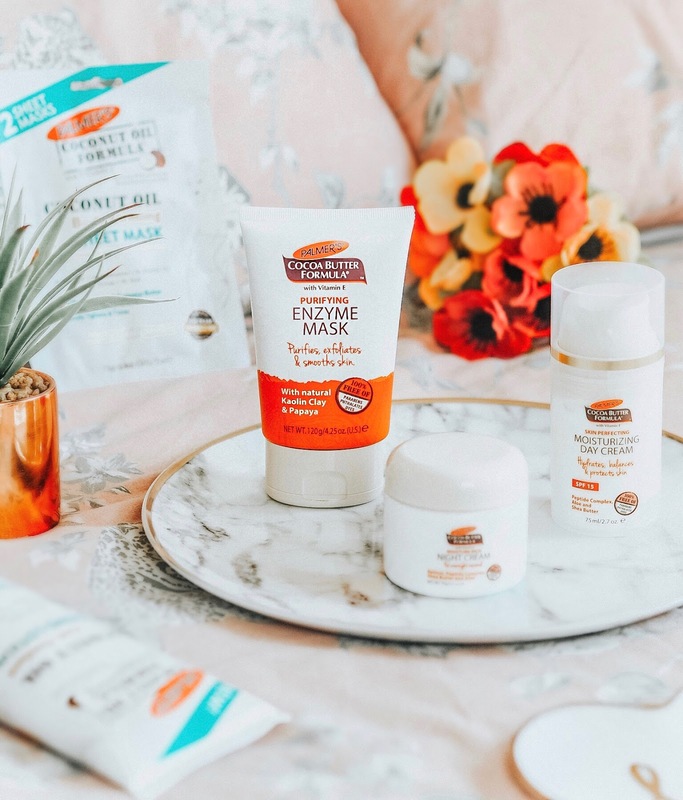 I've loved their bodycare products for years, and even reviewed their Coconut Oil Haircare Range which quickly became my new fave and have repurchased many times since then! Since then Palmer's have lots of new exciting products that I was dying to try including some skincare bit and some new bodycare products. For me, this is the perfect summer moisturiser. The lightweight formula is a dream to apply, and makes my skin feel silky smooth. 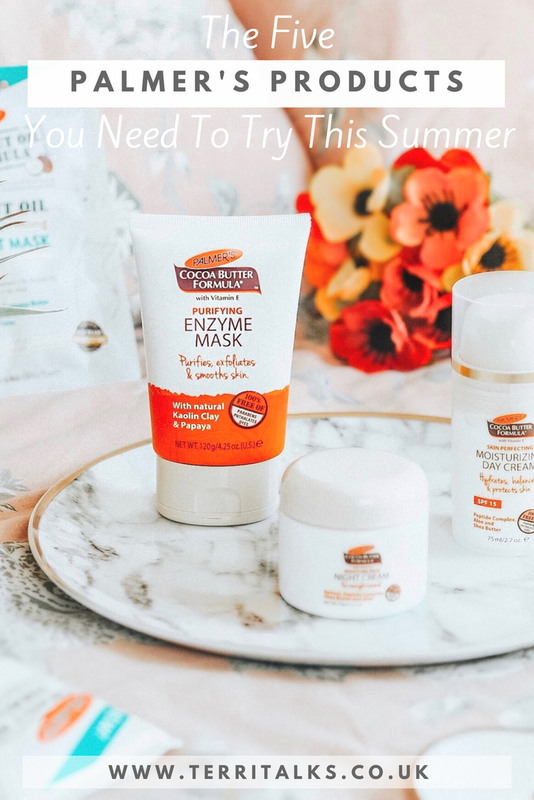 As I previously mentioned, I think it's really important in the summer to not over complicate things and focus purely on taking care of your skin, and this products does just that! Not only does it hydrate your skin, but it contains SP15 and Vitamin E to protect your skin from any harmful rays. 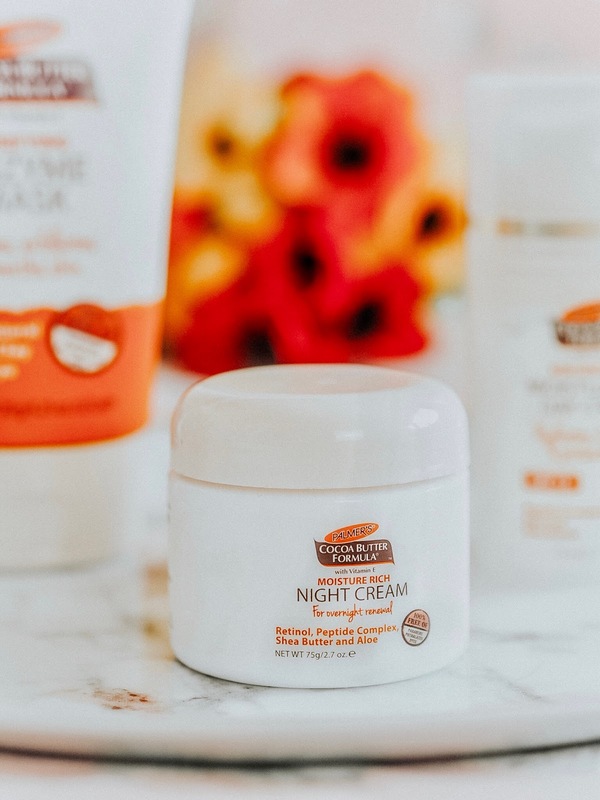 If your skin is more on the dry end of the spectrum, a night cream will be your best friend! This particular one has a very thick and rich formula, meaning your skin will be hydrated all through the night. Similarly to the Day Cream, the Night Cream also contains Vitamin E which has a anti inflammatory properties. Personally, my skin isn't too dry at the minute so I only use this once every few nights instead of every night as I don't want to overload my skin. 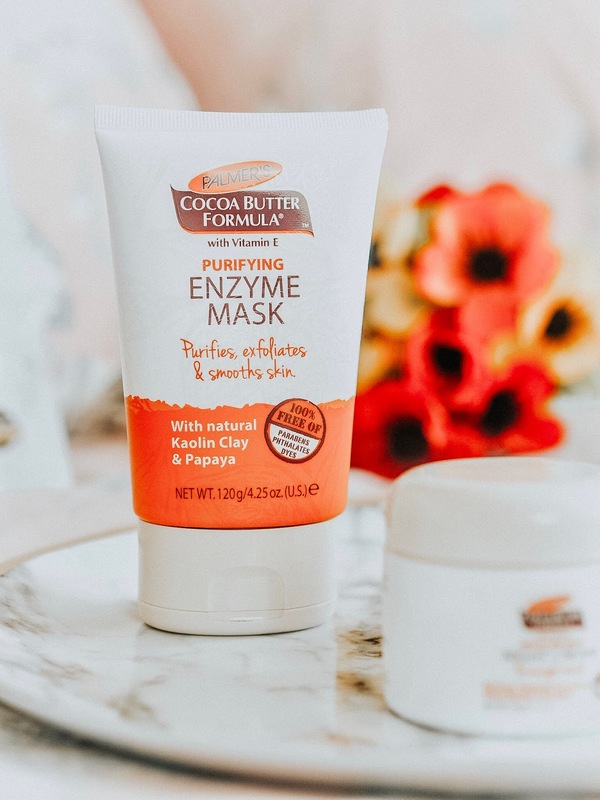 Next up is something I was very intrigued by, an Enzyme Mask! This mask contains Kaolin Clay and Papaya to draw out impurities, and Sweet Almond oil which is rich in vitamins. You apply this the same way you would apply a typical mud mask, leaving it to dry before washing it off. The thing that surprised me the most with this was how fast it dried, I'm talking 3 minutes max! It also has quite an unusual scent which I wasn't the biggest fan of. Saying that however, I loved how my skin felt after using this! I actually felt like it made my skin a hell of a lot less oily, which it turn dried up any blemishes, making them heal a lot quicker. 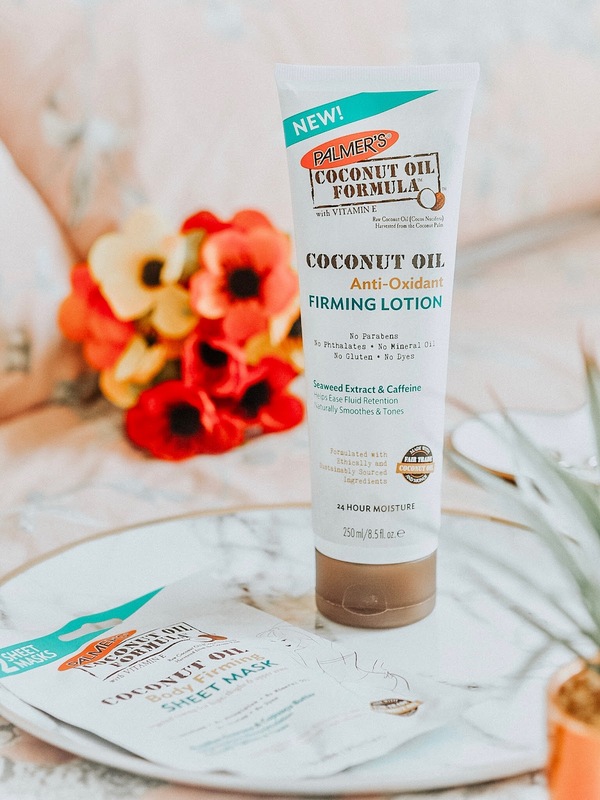 My all time favourite Palmer's products are their Coconut Oil ones, they smell absolutely incredible, and this lotion is no exception! Coconut Oil is fantastic at hydrating the skin and leaving it looking extra smooth. This lotion also contains other amazing ingredients such as Seaweed Extract which helps ease fluid retention and supports skin firming. It's advised you apply this to your problem areas if you are wanting to firm up those areas so I've been applying it in a larger quantity to my thighs. I can't say I've noticed any drastic improvement, but it has definitely made them ever so slightly firmer. Overall I'm really loving this lotion because it's so lightweight, it leaves your skin hydrated and leaves you smelling like a dream! Finally we have the most interesting product of them all. When I first picked this up I thought it was just your regular sheet mask! Boy was I wrong. You actually apply these to your body, particularly any areas you want to firm, tighten and tone! Each pack contains two sheet masks and Guarana Extract, Cupuacu Butter and that trust Coconut Oil. Again, I decided to test these out on my thighs, applying one to each leg. It's advised to leave them on for at least 10 minutes in which you'll begin to feel a kind of cooling sensation. After the 10 minutes, massage the excess product into your skin as you would a normal sheet mask. I have to say I was actually pretty impressed with these, and they definitely did leave my thighs feeling a little tighter. I'd be interested to see what kind of results you'd get from using these long term! Have you tried any Palmer's products before? Which of the above would you most like to try? Oh wow, I wish these would come to SA, especially the Enzyme Mask! I've been using Palmers Coconut Body Lotion and I love it. Ive not tried anything else from their range but these sound wonderful. I have always used their handcreams, but I never realised they had this wide range. I really want to try the Enzyme Mask. Love the photography. Oh man I'm such a huge sucker for Palmers products, they are my go to for after having a tattoo for moisturisation and their fragrance free lotion! I didn't know they did facial skincare and that day cream with the SPF in looks absolutely fabulous especially. I really adore the scent of their stuff too so I'm desperate to try some of these bits now! Fabulous posts and photos! I never knew Palmers did anything other than they’re famous moisturiser!! I definitely to try this brand out more. I love the sound of the firming lotion.